Cecelia, aged 10, recently performed at Perry County Youth Art Day and was judged as superior and excellent in her playing. She played Gavotte by Gossic and Les Plasir, from Telemann's Suite in a minor. Great job, Miss Cecelia! Grace has been improving by leaps and bounds! 9-year-old Grace has been working so hard lately, and it is showing! She is achieving a great sound. Here she is working on an exercise to improve her intervals. Great job, Grace! These three flute students achieved top places in 2015/16 PMEA district bands and orchestra! Sophomores Michele and Jacey made top chairs in District Band and Orchestra! It is exceedingly difficult to get into district band, especially when only a sopomore. Michele achieved 3rd chair in PMEA District Band (lower counties) and Jacey achieved the coveted spot of FIRST CHAIR in PMEA District Band (upper counties). 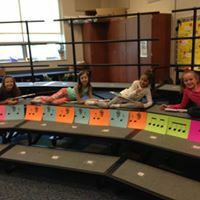 Since getting the top chairs, they were then able to audition again for district orchestra and they both made it into the same one, sitting together in the 3rd and 2nd chairs. This means they were the top of nearly 100 flutists auditioning that day! The piece they had to learn was a college level piece...the Chaminade Concertino. A BIG CONGRATULATIONS TO BOTH OF YOU! Laura achieved 3rd chair in her district band! Laura has made top chairs in district bands for three years in a row! She has been in so many ensembles during her high school carreer, it is hard to count! Laura also auditioned on the Chaminade Concertino to obtain this chair. Laura has also been a very helpful, dedicated KinderFlute intern. Congratulations to Laura! 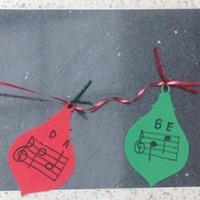 Remember the joy of playing in your first Christmas Concert? Madeline is playing in her very first Christmas Concert at The Forum Building in Harrisburg! and she now experienced the joy of playing in her very first Christmas concert with her school! I am so proud at how much she has achieved in such a short time. Marissa, a 7th Grade flute student, playing a Petite Etude. Marissa is commended for practicing well for every lesson and is always prepared! 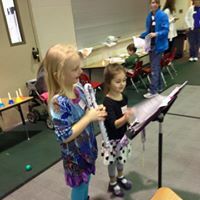 She also donates her time and is a KinderFlute intern, helping Molly as a helper in the Saturday morning classes. Excellent work, Marissa! 8 year old Chelsea is getting ready for Christmas 2015 with this duet: "Trepak" from the Nutcracker! What six year old wouldn't just love to play "The Sly, Sneaky, Masked Robber"? Enjoy Allison's version! Practice Makes Perfect, but practice also makes smiles appear! 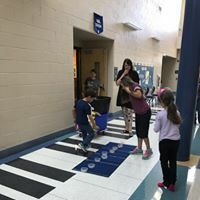 It is so great when students practice! Here is Lydia, who is practicing more and more each week! 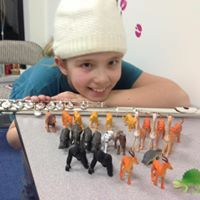 She just began with flute lessons, but she is getting more and more enthusiastic. She has her own chart which showed her practicing every day this week, and the music she played showed that she has practiced very well, too! She always comes to lessons with a smile, too! 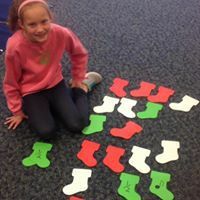 Great Job, Lydia, and keep up the hard work! Two Students Successfully auditioned for the Harrisburg Youth Symphony Orchestra! Congratulations to Laura and Michele! Both Laura and Michele had to prepare a flute solo, learn an orchestral excerpt, play their scales and sightread a piece in order to qualify for the Orchestra. The auditions were rigorous and competitive. Here's to a fun year in the symphony for them both, and we hope they learn a lot! High School Senior, Laura, auditioned on Morlacchi's "The Swiss Shepherd"
High School Sophomore, Michele, auditioned successfully on Doppler's Hungarian Pastoral Fantasy. 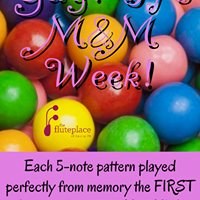 8 Year Old Rhys, has memorized all 12 five-note patterns! Great Job, Rhys! Kudos to Alli, who made it into the 2015 PMEA Youth Honors Band! Alli, a 6th grader, has an awesome sound and works very hard on her flute skills! 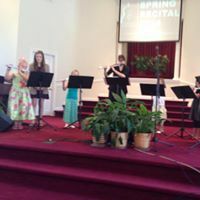 7-Year old Chelsea, sightreading "America"! Cecilia, age 7, competes with superior ratings! Cecilia recieved superior ratings in her first competition at Perry County's Youth Art Day. She first played a short version of "This Old Man" and then completely wowed the judges with a rendition of "The Can-Can". Watch this video to the very end and you will be engaged and entertained! Great Job Cecilia!!!!!! I am so very proud or you! 3 students succesfully auditioned for PMEA district band, all in the top 8. As a freshman, it is very difficult to get into the PMEA district band, but Michele placed 7th by playing the Bach Sonata in Eb beautifully. She has a great, big, beautiful tone and sounds years older than she is. Always a hard worker, Michele is determined to analyze her playing on a continual basis and is very goal oriented. 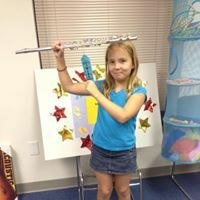 She is determined to work on fundamental flute skills regularly, relishing scales and exercises with an enthusiasm not usually seen. She is also very active in marching band and dance team. On a side note, Michele manages to amuse her teacher by her ability to play the Bach Sonata with her flute backwards and upside down! Wonderful Job, Michele, you did great! Laura Downer successfully auditioned for the PMEA district band (5th chair) and the PMEA district Orchestra (3rd chair) once again. She worked hard on the Bach Sonata in Eb to achieve this goal. Laura is also active in her high school orchestra, wind ensemble, the Perfect 5th Celtic band and is a KinderFlute intern. Congratulations, Laura! Mallory also successfully auditioned for PMEA district band and achieved 8th chair! Her dilegence and hard work paid off, and she was very determined to master the Bach Sonata with a solid technical mastery. It is very difficult to get into district band as a freshman, so she deserves extra congratulations, particularly since she was very busy in marching band, high school wind ensemble, and voice lessons. Superior job Mallory! 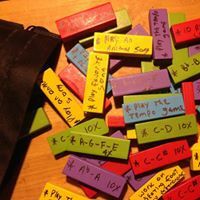 McKenna is a freshman in high school and has a great sensibilty for improvising jazz. Here she is playing an impromptu version of "Still, Still, Still" in a Bossa Nova style. Molly is playing mainly the melody, and the very talented Mckenna is reading the chords and making up an accompaniement part. Great job Mckenna, your creativity is awesome! 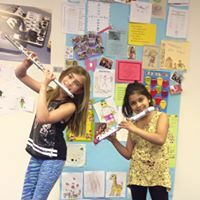 6 year old Zarifa is a very enthusiastic and dedicated flute student already! Here she is, playing "Snowflake Frolic" at the Perfect 5th open house. She also played some solos in a recent mini flute recital. 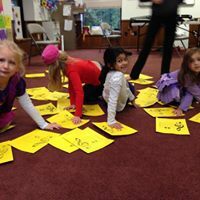 Zarifa is in the newest Kinderflute class, comprised of 4-6 year olds. 8 year old Jayda has a great sound on her new birthday flute! Jayda began Kinderflute a year ago, starting on a Nuvo plastic flute. 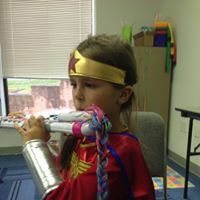 Those flutes require a lot of air, so when she transitioned to a nickel Blocki flute, her sound was instantly very pretty and full. 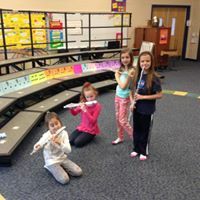 Jayda is doing great in Kinderflute and in lessons. 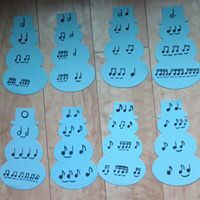 She shares lessons with one other student, and this format has inspired her to practice more and learn her music well for every lesson! Jayda has a very positive attitude and strives to play her songs perfectly. Elena is very dedicated to flute playing and an excellent sight reader. She has been in Kinderflute for a year and 9 months. Here she is, playing a song with notes above the staff, up to high D! 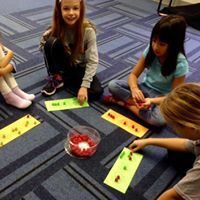 She also has memorized all her five note patterns in sharp keys and is now working on the ones in flat keys. Wait until the very end of this video and you will see her smiling face! 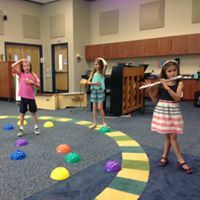 Allison Just turned five and began Kinderflute only a few short months ago! Allison is a beginner and is moving along very quickly. Her parents say that she practices all the time! 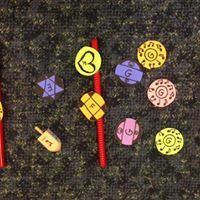 She has mastered notes b, a and g, and c. Here she is playing "Go Team" out of the Blocki Book 1, and she is able to balance her flute without putting her flute on her shoulder when playing songs with a "C" in it! Molly loves to see the enthusiastic smile on her face with even the most difficult of tasks! 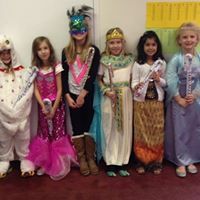 This is the newest class of Kinderflute kids (Kinderflute 1.0) who began lessons in late summer of 2014 and they are doing GREAT! 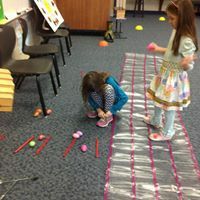 They are all playing at least three notes and many 3 note songs, and have a good basic understanding of rhythm. They are playing thieir notes in two octaves, as well. 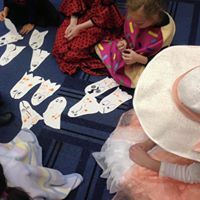 In this picture, the children attended class dressed up and they acted out the story of "Kikimora", a spooky sounding symphonic piece. 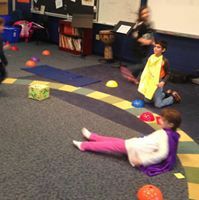 In the end, they defeated the evil witch (the piccolo in the music). The class has 2 six-year olds, 1 five year old, and a four year old in it. 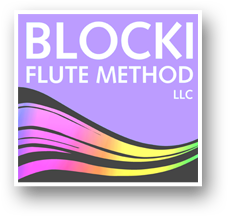 Most children in this class are now 6-7 and they are all mostly in the middle of the Blocki flute method, book 1. 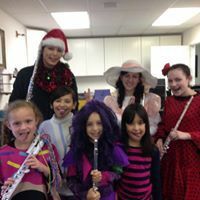 They also play selections from the Overtones Series of Flute repertoire and they love playing Disney songs from the Hal Leonard play along series. 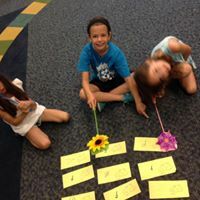 They are a joy to teach and Molly looks forward to seeing them in class each and every week! The bonds the children have formed amongst themselves is wonderful to watch, as well. 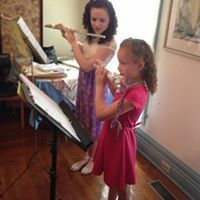 Michelle was challenged by someone to figure out how to play the Highest F on the flute, and Leah joined in on the fun! The first video shows Leah getting it out, and Michelle getting frustrated. The second video shows Leah helping Michelle get it! (Flute friends are awesome) Both Michelle and Leah are Molly's flute students and they are high school band friends. See what the Kinder-Fluters have to look forward to! It is always nice to see former flute students still performing ! This is Hannah O'Donnell, a nursing student at Messiah College, and one of Molly's former flute students. She is playing with a homeschool choir. 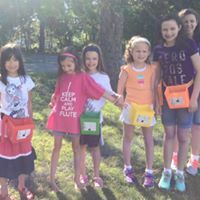 Wonderful to see that she is still using her musical talents to help out the community and provide a little beauty in the world! 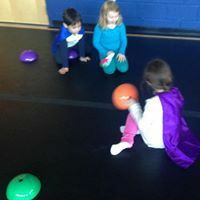 Rhys, KinderFlute student, age 7, playing a round called "Shalom"
Rhys has been a Kinderflute student for a little over a year now and she is making great progress at playing independently! She is very dedicated to practicing and loves playing her flute. Elizabeth wins Audition to play in Harrisburg Youth Symphony for a second year! Elizabeth (Lizzie) is a very dedicated flute player and student. I am always impressed by her willingness to try new techniques and exercises that will help her grow into a more mature player, and also by how hard she works to change habits diligently. She is in 9th grade and this will be her second year sucessfully auditioning for the Harrisburg Youth Symphony, as she played in the symphony her eighth grade year as well. She is also involved in her concert band at school, chorus and marching band. 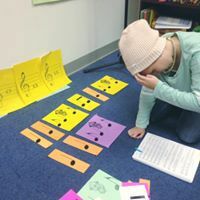 She also takes voice and piano lessons, and this summer was accepted into the Luzerne Music Camp, where she worked hard at augmenting her flute technique and expression. 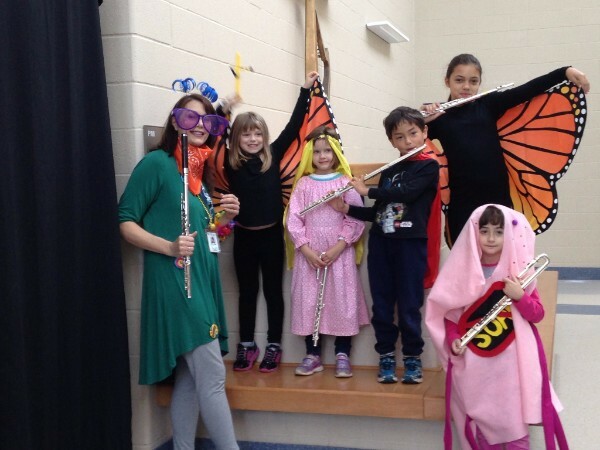 I am personally very grateful to Lizzie because she is a dedicated KinderFlute Intern and shows up at 9 AM on Saturday mornings to greet a roomful of Kinderfluters with a cheerful smile! Thank you and Congratulations, Elizabeth!!! I am so proud of all the participants in this year's FLUTE BOOT CAMP! 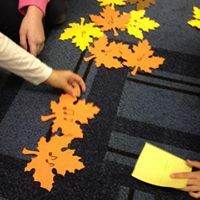 Everyone worked well together and helped each other out! Here is Jedrick, who just got a sound out for the very first time. 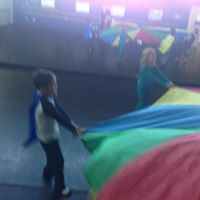 Other campers were cheering him on enthusiastically. Thanks to the FLUTE BOOT CAMP Interns!!!! Robin, Erin and Emily! 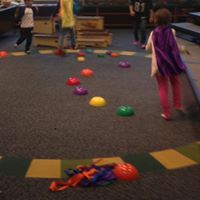 You were wonderful helpers and so great with kids! I could not have run a sucessful camp without you! SPECIAL RECOGNITION To Katy, who is Boston Conservatory Bound!!! Congratulations to Katy, who auditioned sucessfully at The Boston Conservatory and will be headed there in the fall of 2014! She has excelled in flute and piccolo during her high school years, making All-State Concert Band in her sophomore year, and later made first chair in All-State wind ensemble. She also successfully participated in the U.S. Army All-American Marching Band and was first chari flute in the All-National Concert Band. She also played in Carnegie Hall. Closer to home, she has participated in Harrisburg youth Symphony and won their concerto competition. 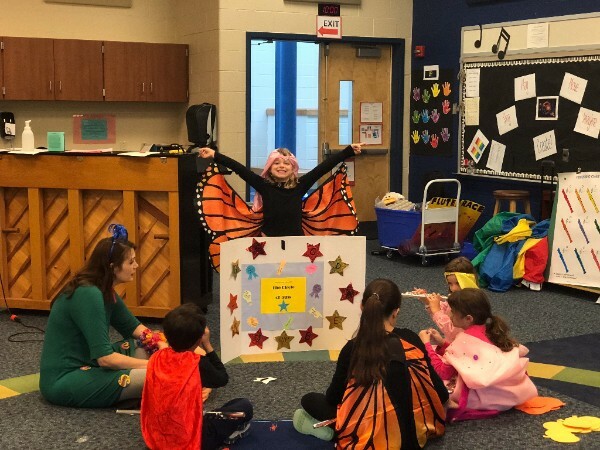 She has taken from several teachers but spent time preparing for college auditions more recently in her lesson with Molly. 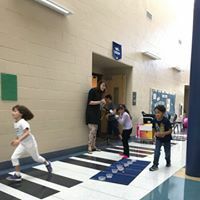 She has a kind and willing heart and helped out as an intern for flute camps at the Perfect 5th Musical Arts Center and in Kinderflute Class, where the young flutists have loved her. Best wishes to Katy as she begins her college flute career, majoring in Flute Performance at the conservatory. 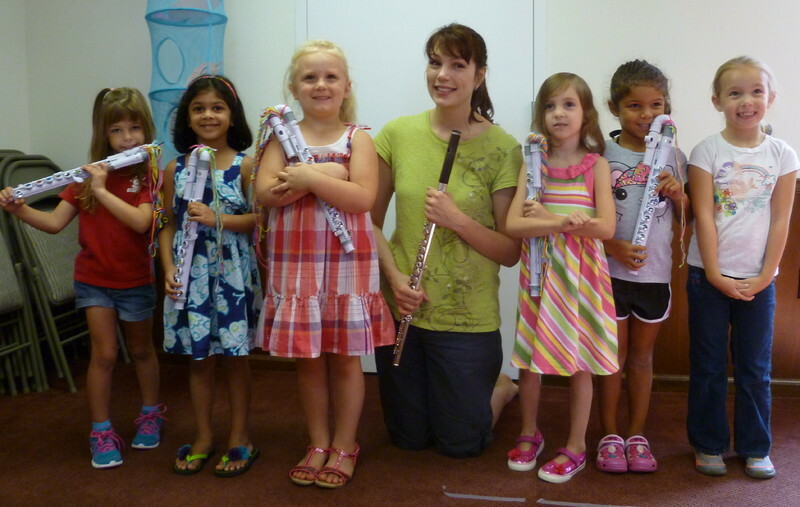 2013 Kinderflute Summer Class Participants!!!! December 2013....Special Recognition to Laura! Laura worked very hard to learn the Mozart in D Concerto and made 5th Chair in 2014 PMEA Disctrict 7 band! She then proceeded to win a spot in the PMEA 2014 District Orchestra. Congratualations to Laura...you are an amazing, hardworking, dedicated and fun person to coach! Laura is very active in school and church. 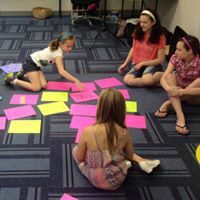 She is in honors classes, worship team, wind-ensmeble, county band and particpates in the Perfect 5th Musical Arts Center Celtic Band, as well. She really enjoys music theory and creates counter-harmonies to play on flute in Celtic Band. This is a picture of her perfoming in the Celtic Band. Fall 2013 Student of the Month: Christine! 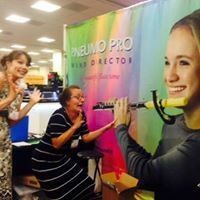 Christine is a flutist that returned to "fluting" upon retirement from a carreer in nursing and college teaching. Molly considers Chris to be one of her most energenic and maticulous students, and puts her heart into practicing regularly. She deserves to be student of the month because she continously strives to improve upon the multitude of skills that it takes to play the flute well. But even more important, she shows us that it is never to late to make goals and enjoy learning an instrument. Her love for playing is evident! Besides, that, she is just fun to coach! In the video below, she is trying her hand at a little jazz. 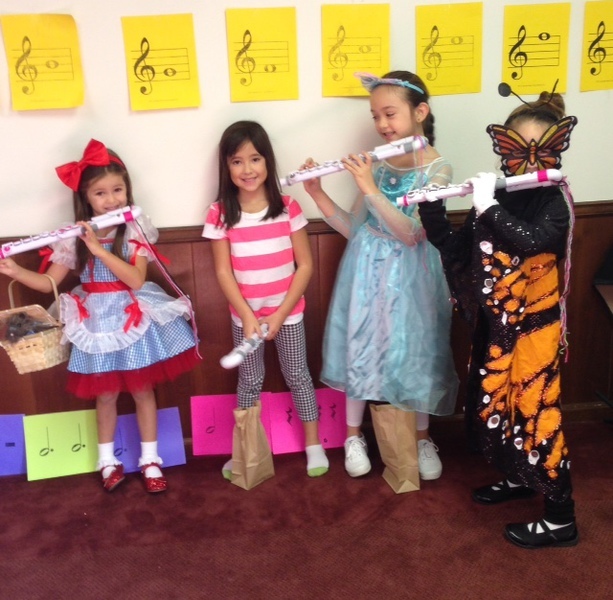 KinderFlute Academy "Student of the Month" for September/October 2013! Rhys is 6 years old and is featured in the video below. She has been playing flute for about 6 months. 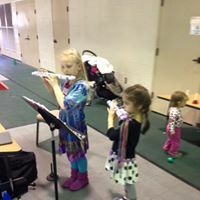 She is very very enthusiastic about practicing and is now picking up the flute and playing on an almost constant basis! She practices very, very hard and seems to love playing! She recently switched to a metal flute with a curved headjoint and is sound very beautiful on it. Great Job, Rhys! Monica wins spot in U.S. Air Force Band! Monica was one of Molly's students about 4 years ago, and was a high achieving flutist at the high school level, making first chair in State band her senior year. Molly chose Monica to be the "student of the month" for July, because Monica recently was accepted into an Air Force National Guard Band and spent 9 weeks at basic training in Texas this summer. She completed training as an honor graduate, only given to the top 10% of trainees. Monica continues her Air Force training at a Virginia base working with an active duty band until the fall semester begins. Monica is about to begin her senior year studying Music Education with a concentration in flute and a minor in piano at the Indiana University of Pennsylvania. 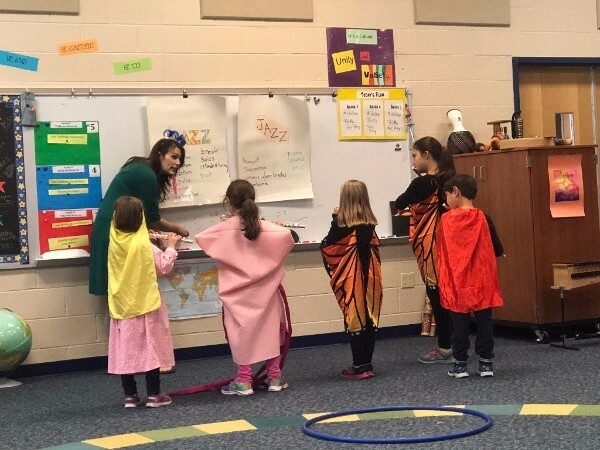 At school, she is a vital member to IUP's Wind Ensemble, plays saxophone in "The Legend" Marching Band, and is an active leader in the Pennsylvania Collegiate Music Educator Association as the group's vice president. Besides practicing, Monica spends her time reading, exercising, and playing her ukulele. Congratulations and thank you, Monica, because your achievements help to show that sucess through diligence and hard work is possible to all other flute students! 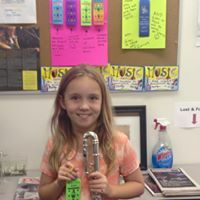 August 2013 "KinderFlute Academy" Student of the Month!!!!! 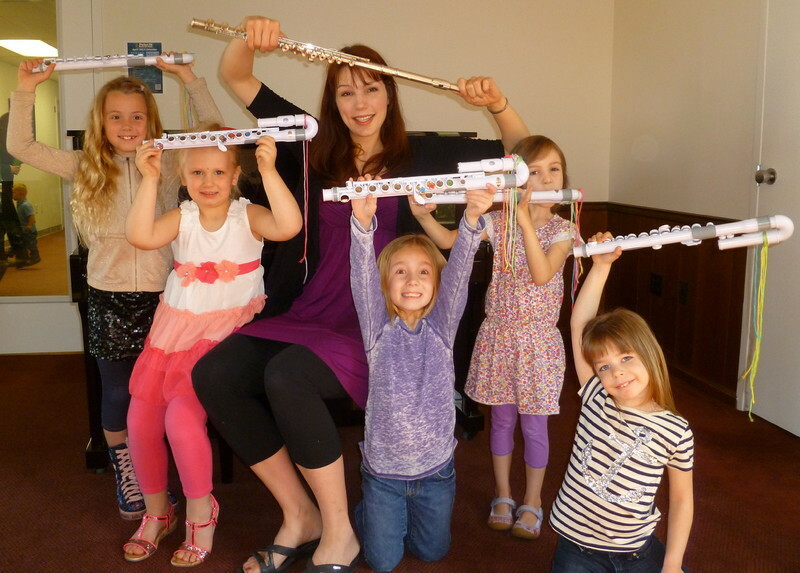 Elena has been taking Kinderflute Classes and Lessons since the early winter of 2013. She is student of the month for August because of her willingness to work hard on her music at home. 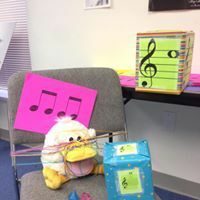 In lessons, she is not afraid to try new music and to learn new fingerings and notes! She is very happy to play for Molly what she has worked on, and even sight reads new pieces very well. 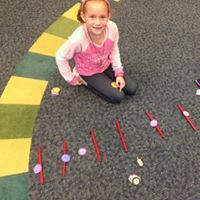 Just look at that collection of ribbons she has on her flute... each representing one song that she has learned! 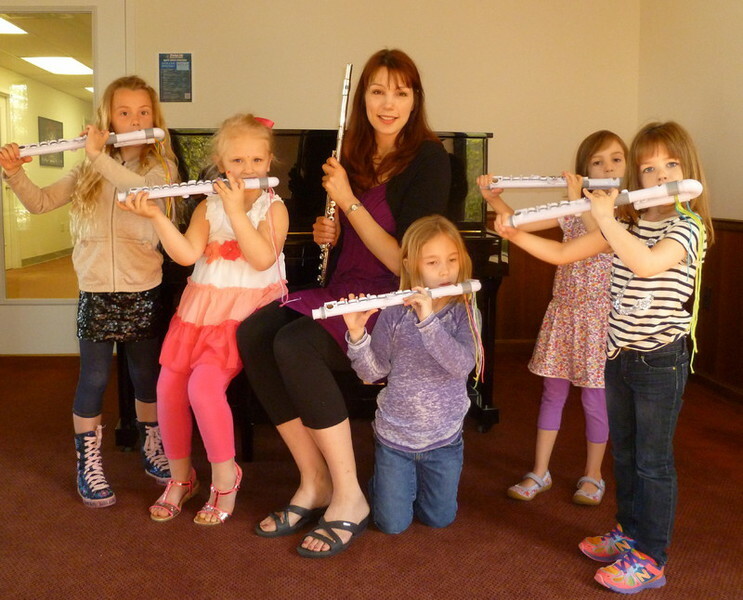 Elena has been a delight to have in KinderFlute Academy. "KinderFlute" Student of the Month for July 2013!!!!!! The July 2013 Student of the Month is Sara! 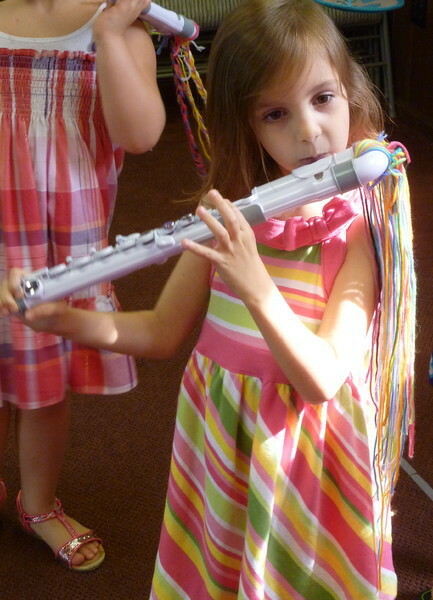 Sara is 4 years old and loves to play music games in both the KinderFlute class and in her lessons. 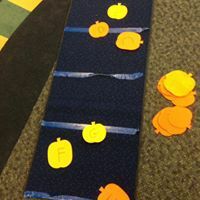 She is very creative and often creates new ribbon-wand dances and parachute activities that accompany songs she is learning to play. Here she is playing her favorite song, Mary's Theme. Listen to how much air she is using to play her flute! Not only is she getting good at reading music, she also knows at least 5 notes in two octaves. Congratulations to Sara!!!! 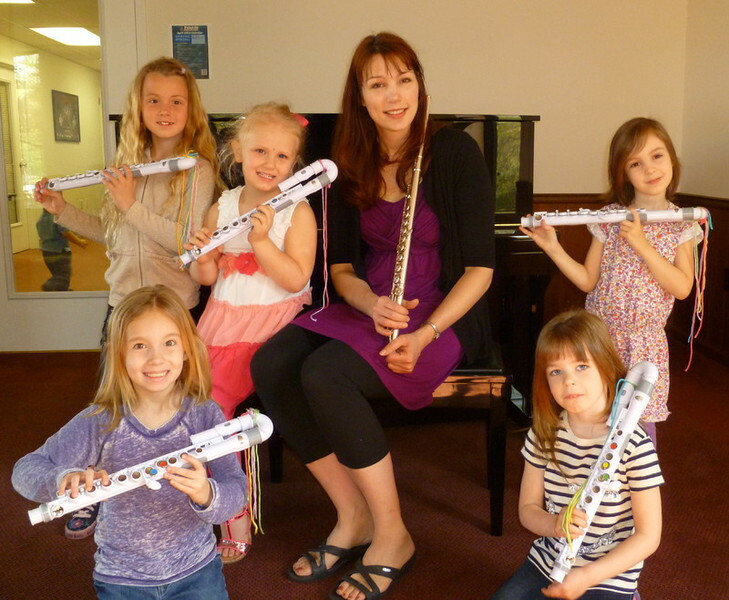 June's (2013) KinderFlute Student-of-the-Month is Chelsea! Chelsea is 5 years old and has played the flute for 16 weeks now. She works exceedingly hard, both at home, in class, and in her lessons. She is very dedicated and loves playing her flute, and wants to be as accurate as possible. This video was taken about four weeks ago, and Chelsea now is able to play songs and duets, with even a stronger sound. Congratulations Chelsea for your hard work! 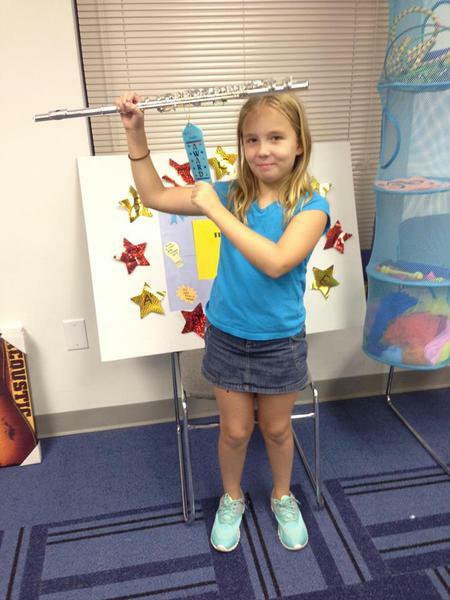 8- year old Carsyn has been playing flute for 6 weeks now and is diligent about practicing. She has learned quite a few songs at this point, and here she is working on her octaves! Congratualations, Carsyn, for working so hard! 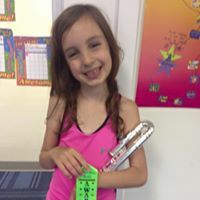 "Molly's Flute Studio" Student of the Month!!!!!! 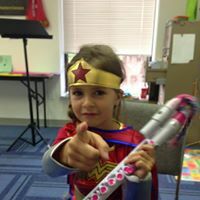 July 2013's Student of the Month for Molly's Flute Studio is REESE!!!!! 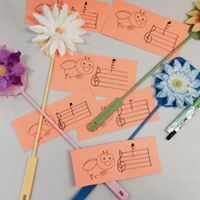 Reese always is well prepared for her lessons, and she possesses an inner drive that makes her want to learn the flute well! 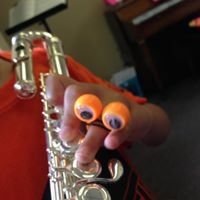 She broke her finger in June, but continued with flute practicing and lessons. 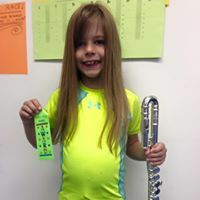 She even went to The Perfect 5th flute camp with a sore finger, and was our flute camp's youngest performer in "The Cool Cat Flute Quintet". Reese is going into 7th grade in the fall. Great job, Reese! 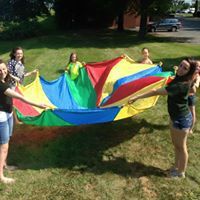 Hannah has been Molly's student for years and is completing private lessons, as she is graduating this year and will soon be moving on to college to study nursing. She is quite expressive when playing the flute, and Molly is going to miss playing duets with her! Hannah is also a wonderful singer, loves reading, and is a beautiful person, inside and out. 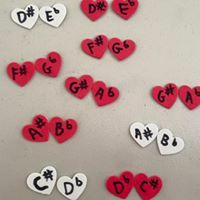 Michelle is a most enthusiastic player and routinely seeks answers on how to improve her playing. She is in the 7th grade and is applauded for her beautiful, full tone and for working very hard on her music. 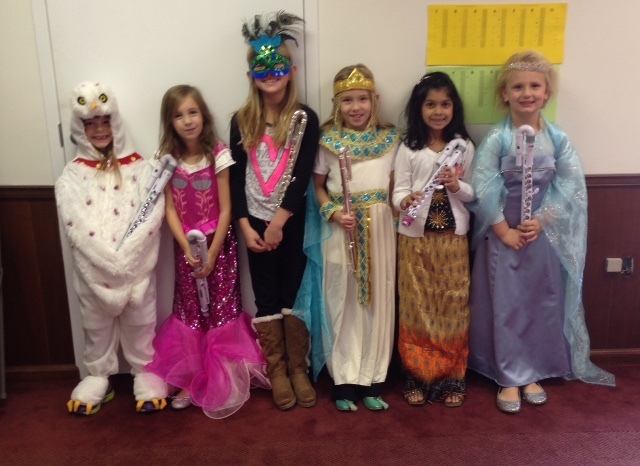 2013 Winter/Spring KinderFlute Saturday Class!!!!!!! After 7 weeks, these girls are able to show off the ribbons they have earned. Each tassle represents one song they have mastered.